153 customers have given this product a 5-star rating. Of these, 134 customers have written no texts or given their feedback in another language. 46 customers have given this product a 4-star rating. Of these, 44 customers have written no texts or given their feedback in another language. 9 customers have given this product a 3-star rating. 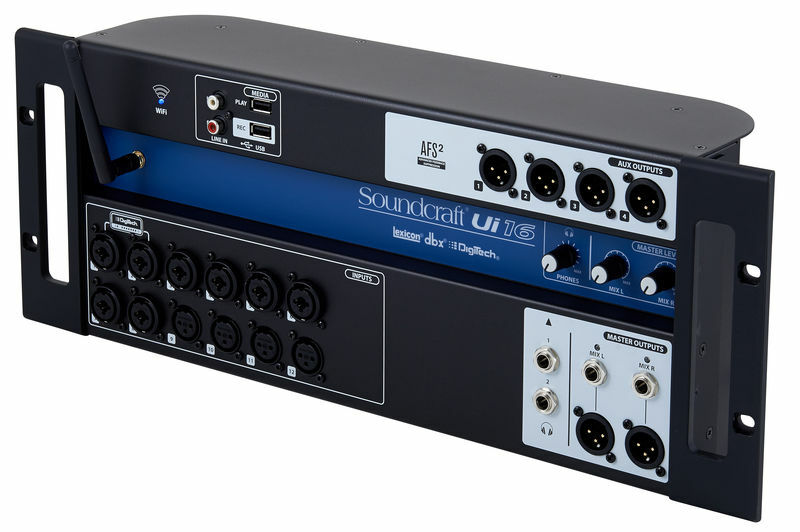 Soundcraft UI16 - portable digital PA a reality at a very affordable price. The idea behind this system is pure genius (although I'm not sure if it originated with Soundcraft; Mackie may have been first off the mark with a similar system). 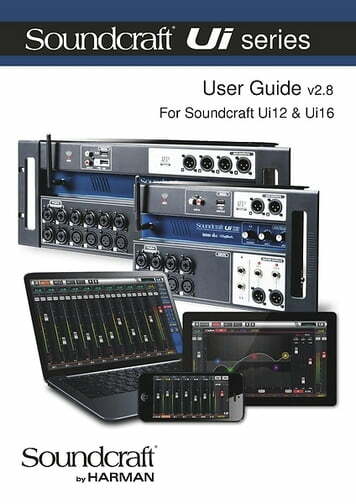 Build a fully featured digital mixer into a stage box, combine it with WiFi and a range of professional FX, routing, EQ and dynamics, then control it remotely from a tablet computer, laptop, IPad or mobile 'phone. The first thing that attracted me was the xtremely small size and weight (4 rack units high, a few centimetres deep and weighing less than 4 kilos). This relatively tiny box makes the mixer, the effects rack, the multicore and an array of cables and power supplies I usually needed to transport unecessary. In my case I recon this cuts down the PA by about 30 - 40%. 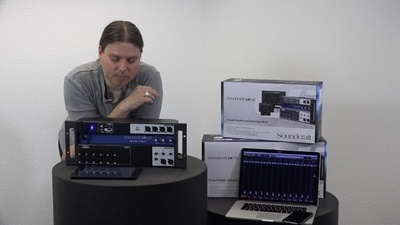 I have had only one weekend to test the system out, so have not yet had time to explore the more remote areas of the software, but the answer to the question does it do the job as suggested by the Soundcraft publicity, the answer is a resounding yes! 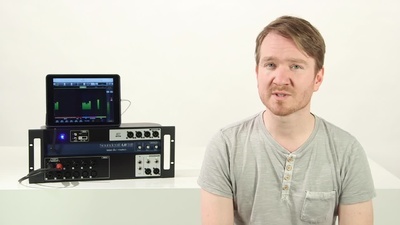 Sound quality is magnificent, this little box really is a fully featured mobile digital studio with all the routing, eq, fx and dynamics you would expect. One feature is the built in media player; tracks copied to a flash drive can be plugged into a front panel USB connector (there is another for recording; but only stereo from the main output). I tried an A/B switched comparison between a .wav file on the flash drive and the same track burned to a CD. The wave file quality and detail was very noticably superior to the CD. One thing worried me; what happens if the battery on the controlling computer ran out during a live performance? Would the whole PA crash? 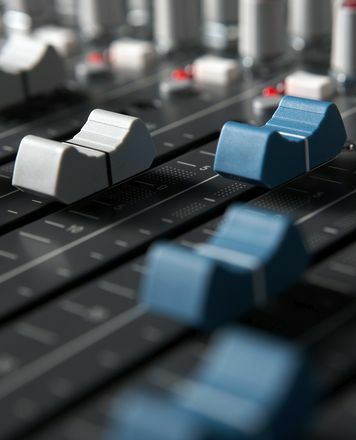 The answer is no; once set up the mixer will carry on as normal even if you switch off the computer running the software, so the show will go on regardless, but you have no control over levels and such untill you re-initiate the software. The only con so far is that the only instructions in the box are written on two postage stamp sized pieces of paper and serve only to confuse you by ignoring the many questions that arise about the means of getting the thing operational. Come on Soundcraft if you can design this brilliant piece of gear surely you find someone able to write a clear and unoquivocal getting started sheet? And no; hiding it away on a CD or download site is not the same thing as an old fashioned printed guide. Despite the positivity of this review I do not work for, or have any connection with Soundcraft. I am merely passing on my enthusiasm for a remarkably well designed piece of equipment, which at first I thought would be well above my price range. Full marks to Soundcraft on a superb acheivment! When I consider the price as supplied by Thomann, I find the value for money remarkable. We are a 5-piece band playing Hungarian folk songs in a classical rock arrangement (drum, bass, 2 guitars, vocals). Drums are electric, all guitars are from line, no amps. We cannot afford hiring a FOH guy for our shows so when we were looking for solution we decided to go digital so we can easily save settings. 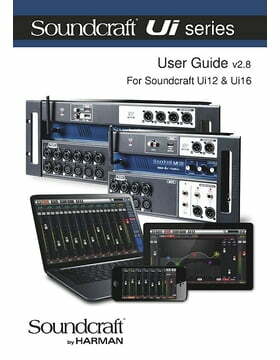 Soundcraft UI16 is beyond our expectations. We use all its XLR/Jack inputs and (as all our instruments are coming from line with the same signal level) we were able to save basic soundscape settings (volumes, panorama settings, EQ&comp for each channel with the built in effects, 4 monitor routes) for open air and in-door venues. Now when we go to a gig, we plug everything together, turn on the power, check the room with pink noise (played from built in player) to tune-in the room with the 31-band graphique EQ if necessary, decide about the FOH volume and there we go - all done within 20 minutes. We can only recommend this all-doing wonder!  ID: 356321 © 1996–2019 Thomann GmbH Thomann loves you, because you rock!